Hello, welcome to my site. My name is Tom Fontana, let me tell you a bit about myself and TheGuitarLesson.com. I started playing guitar in high school, over 20 years ago now. There was no internet back then, and I didn't have enough cash to pay for teachers, so I learned guitar the old fashion way. By myself. I bought a few books and VHS tapes, and got to it. I also learned a lot from listening to music and trying to play what the guitarist was playing, and later jamming along to the music tracks. I began giving private lessons a few years later, when some of my acquaintances asked whether I could help them get started. Through teaching others, I realized that the best way to keep people motivated was to get them playing real songs as soon as possible. After all, that is why people want to start learning guitar in the first place. My professional life had taken a turn in 2008, which is the year I created TheGuitarLesson.com to help newbie guitarists learn to play guitar in the quickest, most efficient and most enjoyable manner. 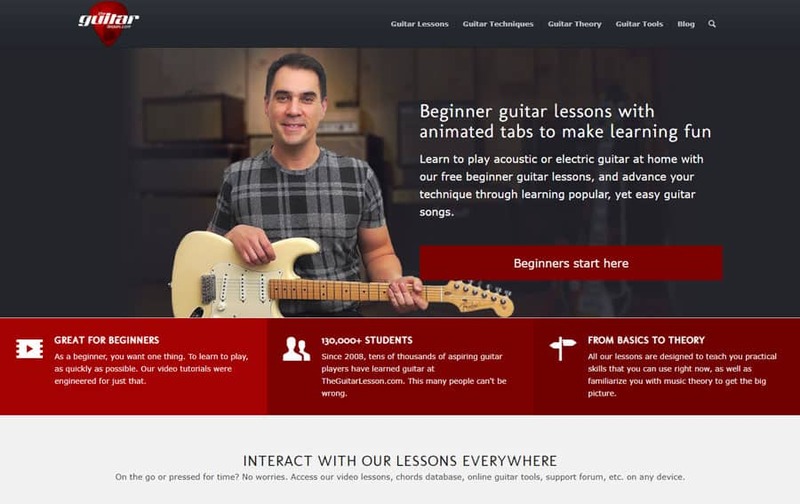 TheGuitarLesson.com was launched after 9 months of preparations with 51 video guitar lessons on the Drupal content management system. We created a Guitar Pro tabs database with almost 50,000 Guitar Pro files. Drupal was slow and cumbersome, so the entire site was migrated to WordPress, which was an up & coming CMS at the time. With the migration, the site was also redesigned. Web design trends change quickly, so the site was redesigned once again. With the redesign, the codebase was improved, which resulted in much faster site speed. 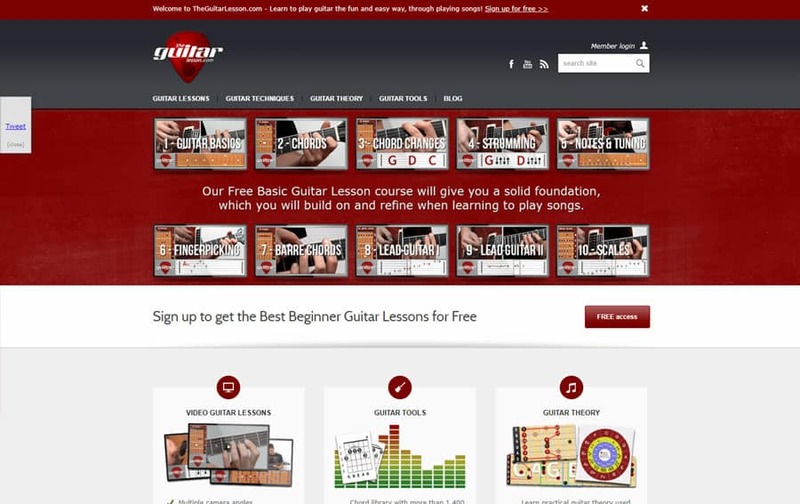 TheGuitarLesson.com has grown exponentially since it's inception. 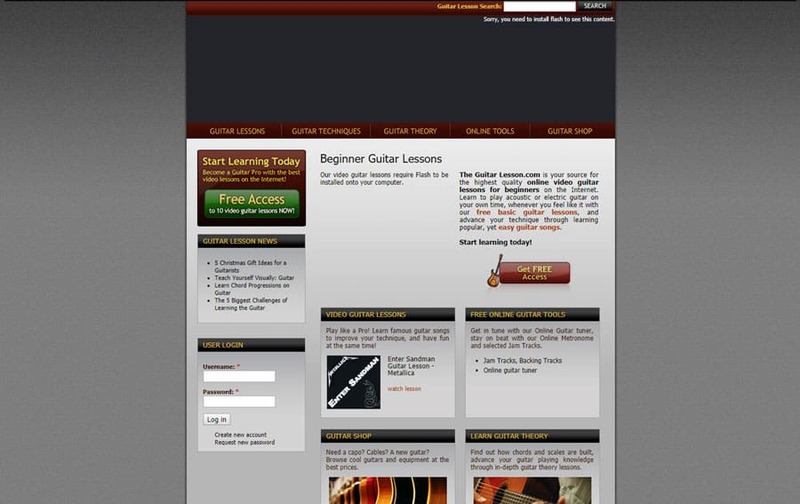 Over 100,000 beginner guitar students have learned guitar with the help of my site, a fact which fills me with pride. Through the years, I've had the opportunity to write for a number of high profile publications, including today.com. What plans do we have for 2019 and beyond? 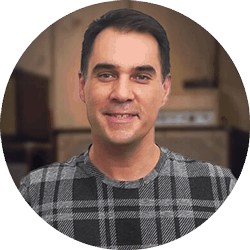 Beside regularly publishing new video guitar lessons, I plan on creating genre and style based courses. YouTube has grown to become one of the first places where beginners look for lessons, so I have to concentrate more on YouTube videos as well. It's been a fun ride full of new challenges, and I'm looking forward to many more just like it. If you have any questions, requests or suggestions, please get in touch with me.